Roan Member of Parliament Chishimba Kambwili who has been admitted against his will at the University Teaching Hospital (UTH) will appear before Lusaka Magistrate Court tomorrow 28/03/2018. 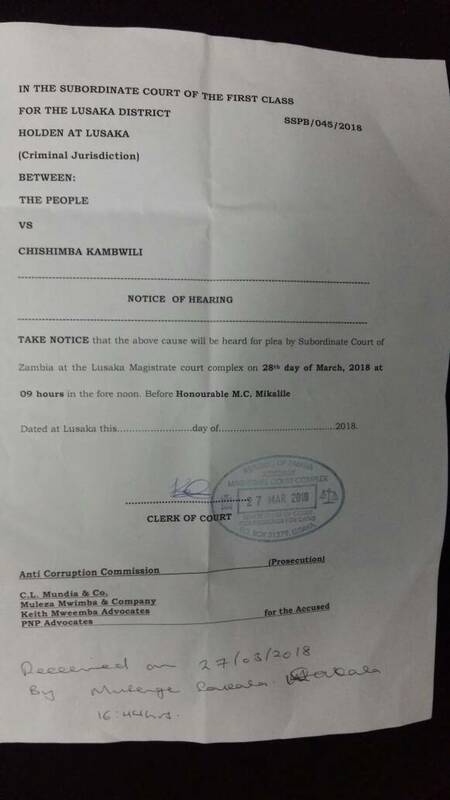 According to a Notice of Hearing obtained by the Zambian Watchdog, Mr. Kambwili will appear before Lusaka Principal Resident Mwaka Mikalile. This afternoon Kambwili was taken to court but Anti Corruption Commission officers chickened out out.